Hi! My name is Earth and I am a Muppet-loving girl from Oregon. While I don't know a lot of trivia about the Muppets/Fraggles/Jim Henson stuff in general, I deeply appreciate the spirit and message of the Muppets. The Fraggles are my favorite Jim Henson creation, closely seconded by the Labyrinth, the Muppet Show, and Sesame Street. 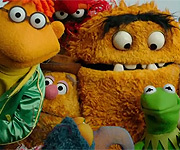 I was so happy to find this place online where Muppet-Lovers have come together- my friends tend to judge my love of everything Jim Henson, and it's nice to talk to people who don't, and espescially people who fan-girl right along next to me! 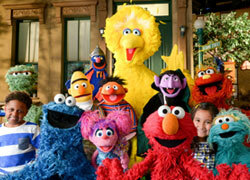 Thanks guys for keeping the spirit of Jim Henson alive! p.s. I love how the emojis are muppets!!!!! "The magic is always there, as long as we keep looking for it..."